every Saturday, 2 p.m. to 4 p.m., at the Pine Street Community Center, 803 Pine St. in Victoria! Bring your your kids to the next MAP class. Cultivate and elevate the creative minds of your children. to public schools and community-based organizations. 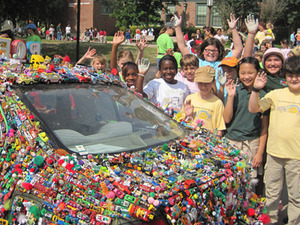 for nearly 10,000 students in New York, Texas and Louisiana. and weekends, when students are most in need of creative guidance. aware, environmentally sensitive, community based education. We tailor curriculum to the concrete needs of the communities served. 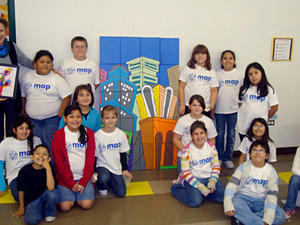 In Victoria, Texas, MAP provides after-school art programs in public elementary and high schools, and at the Pine Street Community Center. In collaboration with the Nave Museum, MAP provides an outreach that culminates in a children’s art exhibition and community wide celebration. In New Orleans, MAP is collaborating with YaYainc. and the Youth Study Center to bring a series of collage and concrete poetry-based projects to local teens. Students are engaged in a creative journaling/drawing/collaging process while learning to assess changes in personal growth, emotional balance, and increased self-expression with collage and paper based assignments. This project has a dual purpose: (1) to enhance the personal growth and emotional balance of the students through literature and writing, and (2) to help students explore a variety of artistic materials. Students will study the journals of Frida Kahlo, Zora Neale Hurston, Asger Jorn, and others to gain insight into the founding of an artistic practice.